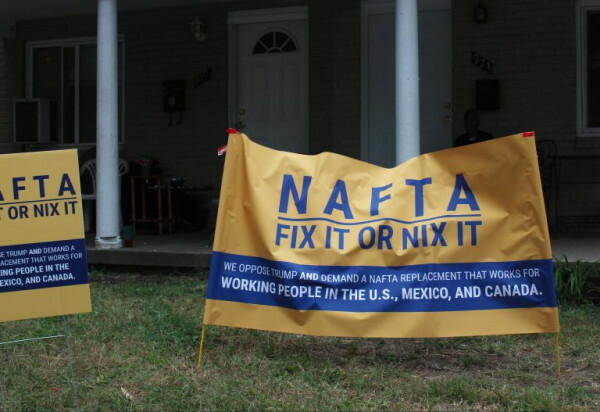 On the inaugural day of the fourth round of the North American Free Trade Agreement’s (NAFTA) re-negotiations, protesters demand an end to corporate courts and the secrecy surrounding the deal’s proposals. The protest was hosted by Popular Resistance, an activist organization that was a leader in the grassroots movement to ending the Trans-Pacific Partnership (TPP). Their current campaign, Trade for People and Planet, seeks to replace the current trade model’s prioritization of multi-national corporation’s interest with trade that seeks to implement high environmental and labor standards that benefit working people. 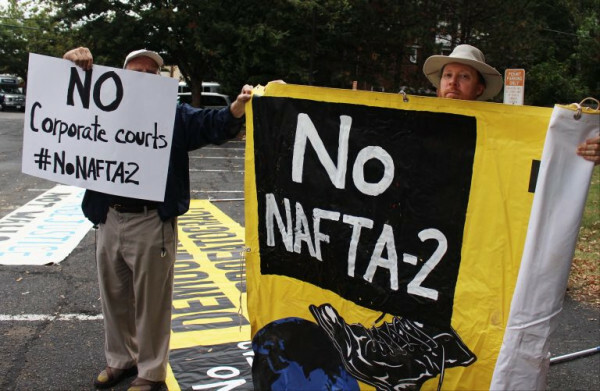 The campaign is critical of NAFTA’s current ISDS mechanisms along with the lack of transparency in the proposals being submitted, which activists compare to the secrecy of the TPP negotiations. Economic inequality will only increase unless major enforceable labor provisions are included in the text. This includes an end to “right-to-work” laws in the United States, a proposal which the Canadian delegation has put forth, along with an increase in the minimum wage for Mexican workers. The deal should include protections for family farms in all countries, which have been disproportionately affected by the preference NAFTA has given to powerful agricultural companies such as Monsanto. 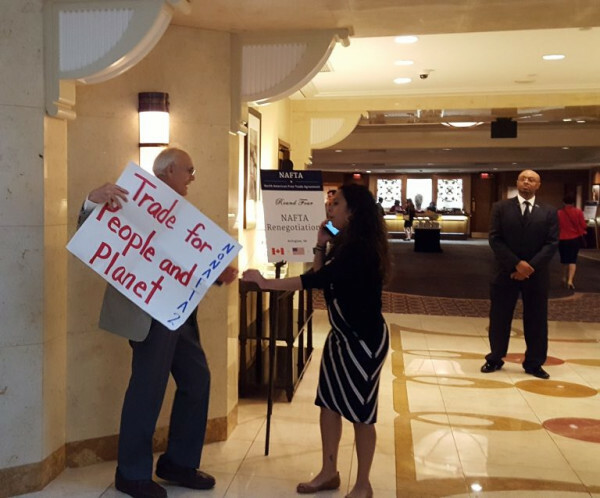 Trade for People and Planet also advocates for strong environmental protections which adhere to the standards set in the Paris Accords. Trade deals can no longer continue to ignore the profound impact that industry has on the environment and in deepening the feedback loop of climate change. Economic co-operation between countries should enforce and incentivize a transition towards a green economy across borders. “The NAFTA negotiations are being held in secrecy. The public is not allowed to see the texts of the negotiations which have historically been heavily influenced and drafted by corporate lobbyists. With the pace of these negotiations, we are concerned that negotiators are slipping in the worst parts of the Trans-Pacific Partnership (TPP) and the Transatlantic Trade and Investment Partnership (TTIP), meaning worst conditions for our communities and our environment,” said Margaret Flowers, co-founder of Popular Resistance.